A muted but still brilliant sunrise colors the sky and clouds orange over ominously named Dark Mountain. 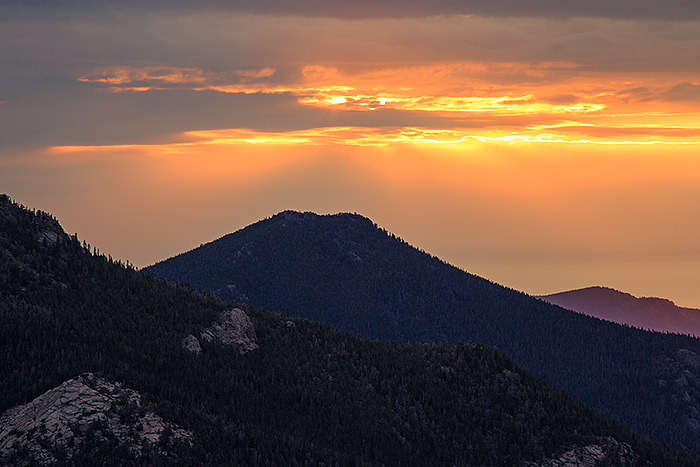 The layered peaks are part of the Mummy Range and most visitors to Rocky Mountain National Park can view this area from Trail Ridge Road. Photo © copyright by Thomas Mangan.